In the United States, an astonishing 40% of our food is landfilled. Here in Santa Barbara County we're doing much better at only 20%, but we can still do more. Read below for helpful tips to reduce the amount of food you and your family waste. Check out our Food Forward video below! On farms, at grocery stores, and in our homes and schools, Americans are wasting too much food. Here at the County, we’d like to help change that, at least locally. 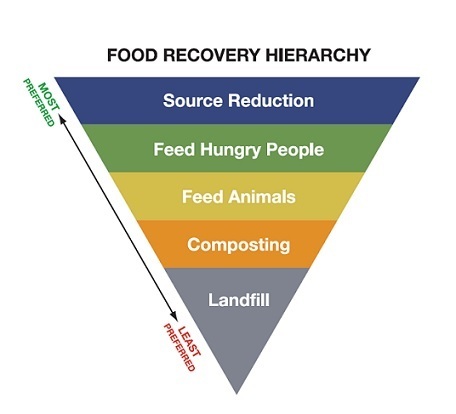 Our new Food Forward initiative is aimed at giving the community the tools they need to keep food out of our landfill. In doing so, we can all save money, reduce the use of natural resources, and cut the production of greenhouse gases. Check out an excellent video on the subject titled Food Wastage Footprint produced by the United Nations Food and Agriculture Organization. 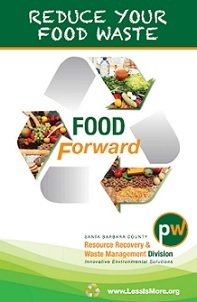 You can also download our Food Forward booklet, which contains all of the great information found in this section.